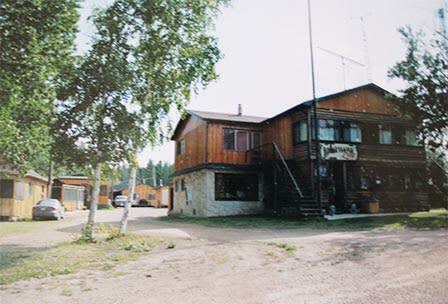 Three units in main lodge, five cabins with kitchens, bedding, towels, central washrooms and showerhouse. Unlicensed dining room, beach, boats, motors, gas, oil, guides, dock, boat launching, fish processing, bait, fishing licences. Fishing for walleye, northern pike, sauger and perch. Bear hunting, snowmobiling, hiking, photography.